In what we're hoping becomes a lasting trend, developer Re-Logic has recently announced that it'll be taking the same route as Sucker Punch and releasing an impressively large free update for its open world exploration title Terraria. The patch – which has been available on the PC for a while now – will be arriving on the PlayStation 3 and Vita on 17th April. Most exciting of all, though, is that the studio has provided a fastidiously detailed changelog, which means that we're thankfully not left scratching our heads trying to figure out what on Earth's actually being updated. Speaking of which, you can find the full details of the patch through here. Highlights include a whole host of bug fixes, as well as over 100 new enemies, four new bosses, and over 1,000 new items. 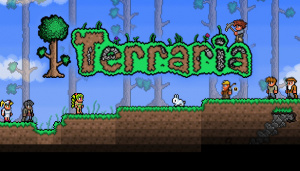 Have you been building a new world in Terraria? Will this update convince you to wield your pickaxe once again? Let us know in the comments section below. 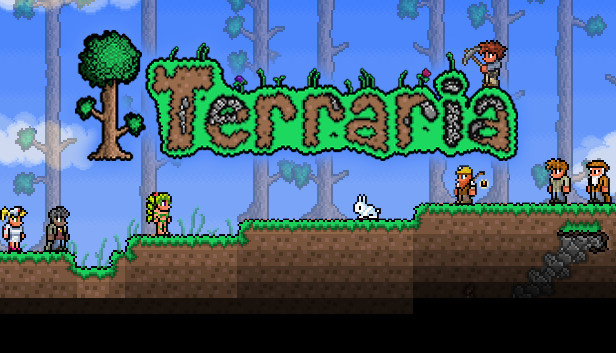 I've been wanting a reason to jump back into terraria. Never made it to hard mode, but I think I'll try again now. I wish there was a comprehensive review (preferably video) that details what exactly this game is and how it works. It looks awesome but I don't get it? Do I just dig and build? Are there objectives or anything? Is the item management and understanding uses of items as tedious as it looks? @AG_Awesome Just google some gameplay videos on YouTube. It is an action game where you explore the surface and underground of a randomly-generated world. You can build, combat, and more. Has online support. I put over 100 hours in the PC version and around 30, so far, in the PS Vita version. The game is on quite the epic scale, for an indie. Some compare it to a 2D Minecraft with much better combat. I have it on PC and the 1.2 update added at least 20 hours worth of things to do. You are in for a treat with this.